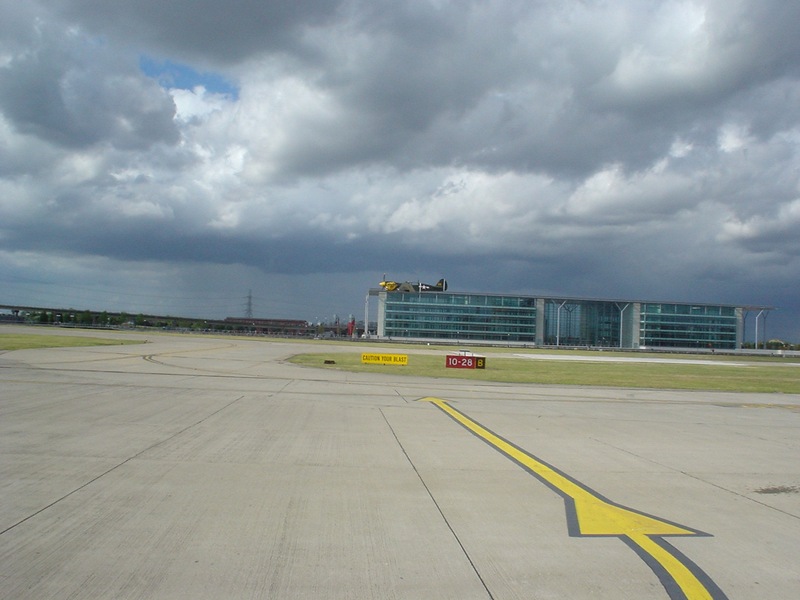 A commuter airport just a short distance away from some of London’s tallest skyscrapers hardly screams airshow venue. Yet for many years it was just that. The Fighter Collection’s P-40 and Corsair at the 2004 show. Held one Saturday in early July the airports “Fun Days” were largely a fun fair and street party for local residents, with a small flying display. While the display may have been short it was of a very high quality year in year out. I only became aware of these events by accident really, in its earlier years the event used to clash with flying legends at Duxford, it was on the way back from that show, when cutting through the Blackwall tunnel that we noticed a number of light aircraft using London City, which certainly seemed odd. It wasn’t just Warbirds at the show either! I can’t remember the first year I visited the show, though I think around 2004, whenever it moved away from legends weekend. 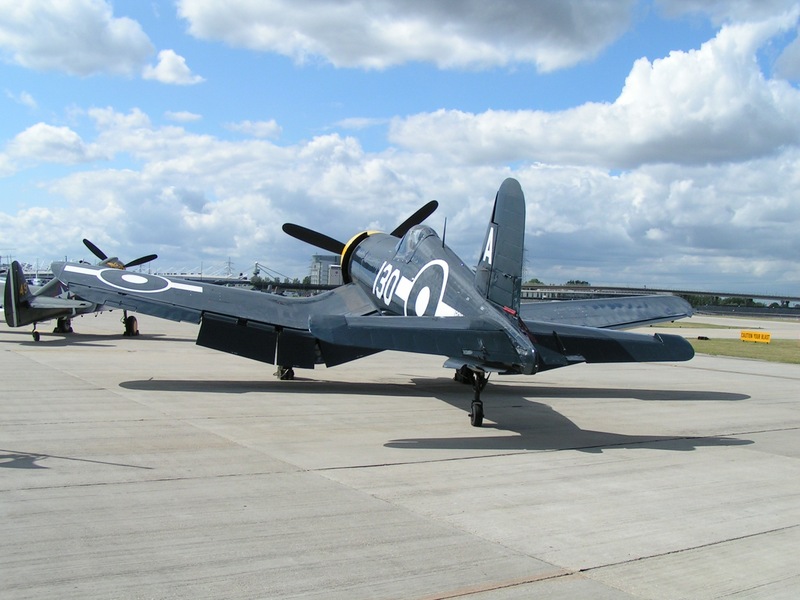 The bulk of the show consisted of Duxford regulars, such as the Fighter Collection, Grace Spitfire and Cosmic wind. The Fighter Collection displays are the ones that stick in my mind, certainly on a couple of occasions the aircraft actually landed on which was an impressive sight. One year saw P-47 No Guts no Glory and the collection’s Hellcat displaying, the latter of which was superbly flown by Steve Hinton I seem to recall. 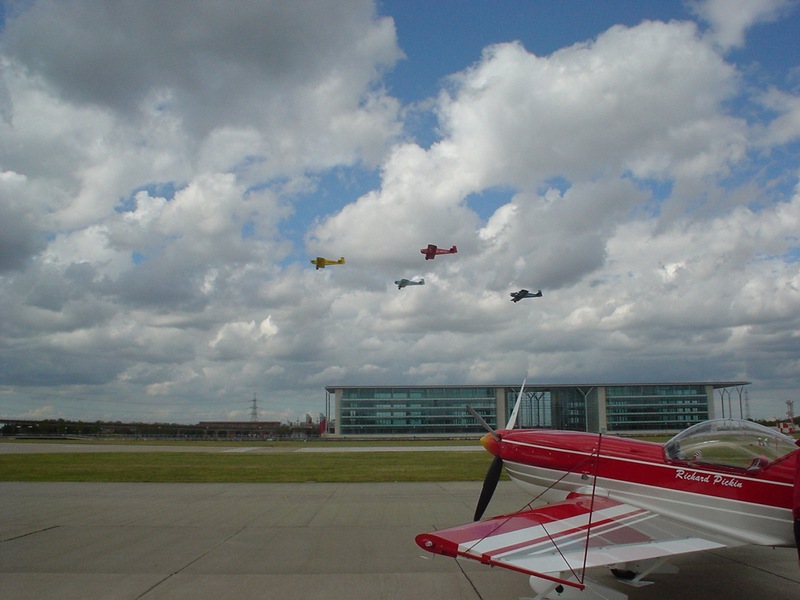 Later shows saw the Corsair, P-40 and P-51C displaying. P-40 getting airborne in 2004. 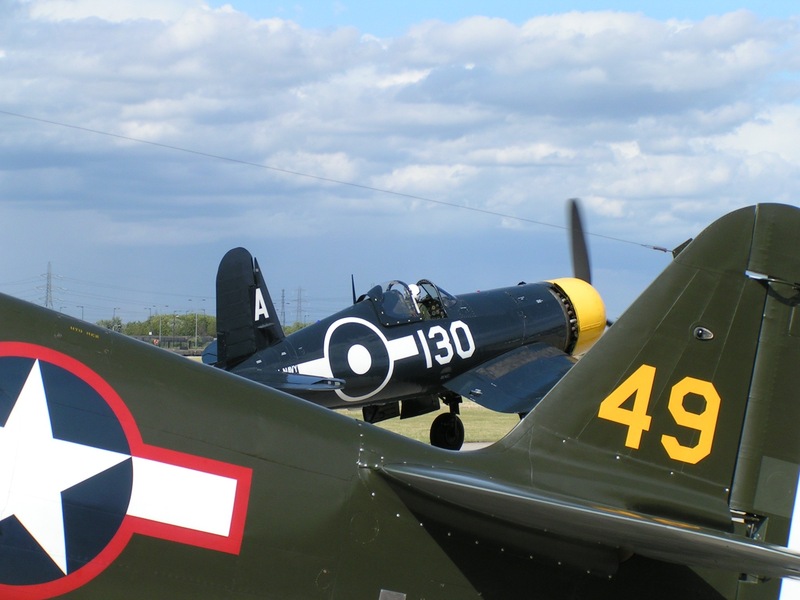 What was most impressive is that none of the warbird displays were adjusted in anyway, no high flat displays were carried out, these were no holding back aerobatic masterpieces just as you would see at any show. Seeing the likes of Stephen Grey and Pete Kynsey go through their routines with such a unique background was very impressive. Pete’s routine in Princess Elizabeth in 2007 was a particular highlight. Grace Spitfire during the display. 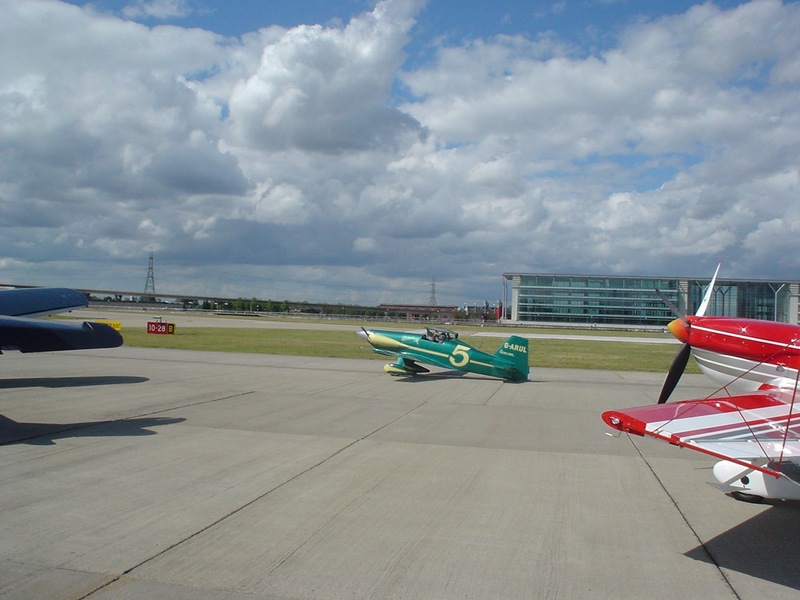 It wasn’t just the big iron that displayed at these shows, the Tiger Club from Headcorn used to support the event well with Turbulents, tiger moths, Caps and Stearmans often performing. The Turbulent Team Getting airborne. 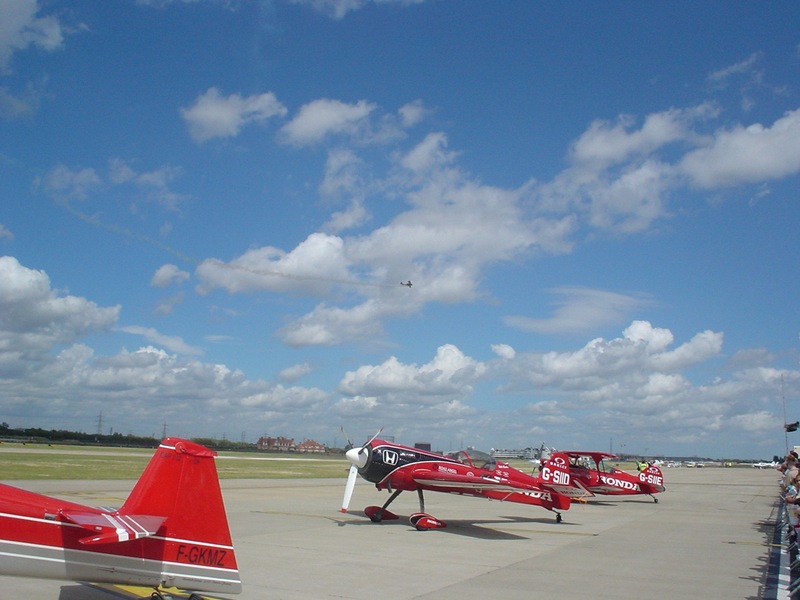 Aerobatic machines weren’t lacking either, with a Bucker Jungman, SU-26 and the beautiful Cosmic Wind all performing over the years. 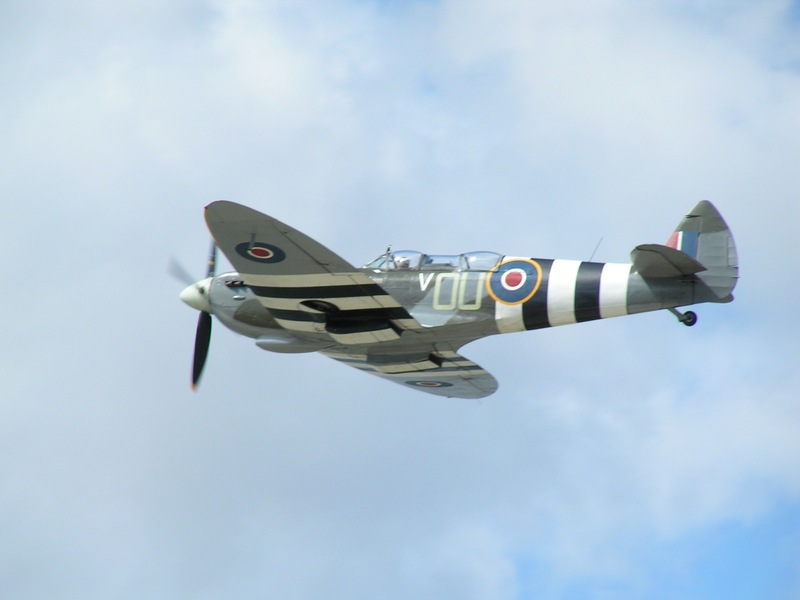 Latter shows saw the warbird content change with the Old Flying Machine Company pair of Spitfire and Mustang taking over from the Fighter Collections regular performances. Sadly though, these wonderful afternoons in the city are no more, the event moved off site and after one year of off-site displays the event stopped the air display component, the final full airshow taking place in 2011. A real shame as it truly was one of the most unique events on the calendar, if something of a hidden Gem. I have included some photos from the 2004 event in this post.